Who doesn’t love candy? The Candy Factory Slide Combo will satisfy everyone’s sweet tooth for fun! 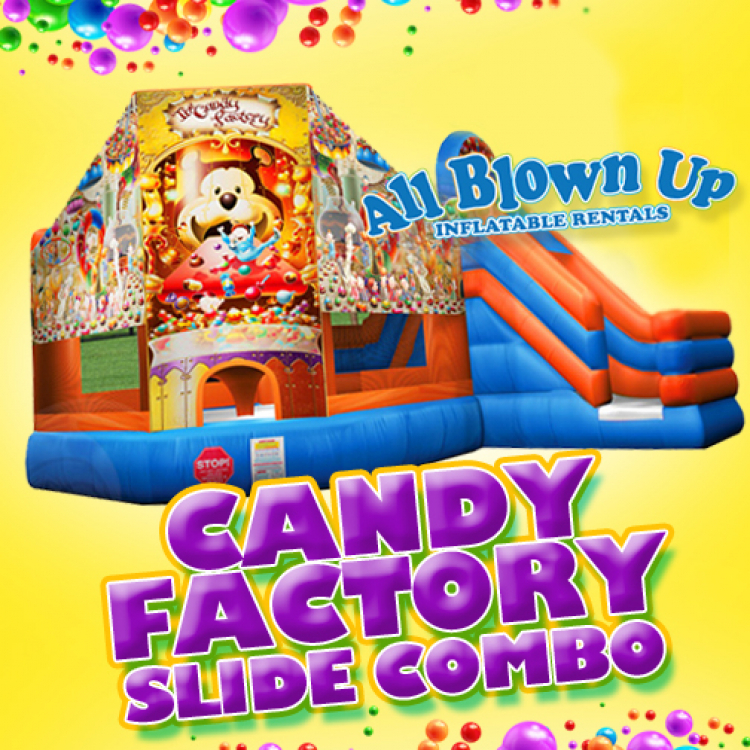 This inflatable features a large bouncing area, a crawl-through area and beautiful graphics. Perfect for your next backyard party!